As the battle goes on for who will take the lead in the global smartphone market. It is the Nokia N900 vs. iPhone that gets center stage in this article. Keep reading to find out how they stand up to each other. The point to start off this comparison would be the most obvious of all; the size, look and feel of the phones. Apparently the length and breadth of both the Nokia N900 and iPhone 4 is almost identical, give or take a millimeter. Not so with the thickness. iPhone 4 is much better with its thickness being 9.3 mm compared to the Nokia N900 with 18mm thickness. This makes the iPhone 4 much better and much lighter to handle. 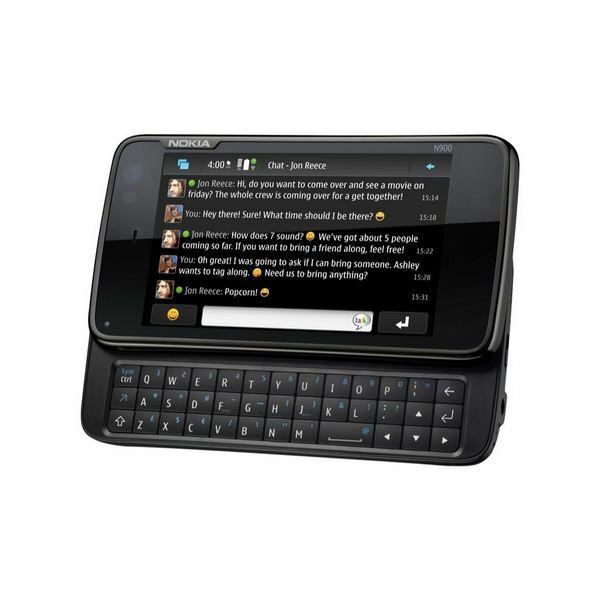 Nokia N900 takes the lead over iPhone 4 with its hardware full QWERTY keyboard. As far as I am concerned nothing comes close to a hardware keyboard in terms of ease of use, feel and accuracy. The Nokia N900 is also better in camera control with a hardware shutter button which the iPhone lacks. 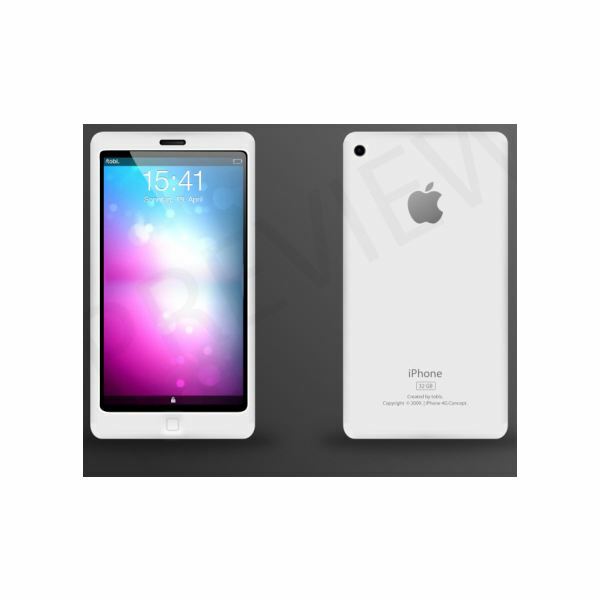 When it comes to the color scheme iPhone gives more variety over the Nokia N900 which comes in black as compared to iPhone which comes in white and black. All in all, as far as the looks go, the iPhone 4 is a much better phone, but for handling and control, the Nokia N900 comes out on top. The Nokia N900 comes with 32GB of internal storage compared to the iPhone's 16/32GB storage. However, the Nokia N900 supports additional external storage of up to 16GB. So, as far as storage goes, the Nokia N900 is doing much better than the iPhone 4, though the iPhone 4 boasts double the RAM the Nokia N900 has and that contributes to a better performance. There is no radio on the iPhone 4 leaving the Nokia N900 in the lead with its radio capabilities. The only catch with the Nokia N900 is that you have got to install a third party radio app. Both Nokia and Apple have app stores where you can get apps for the phones. 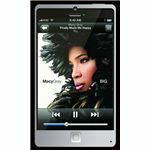 iPhone has the advantage as the iTunes Store offers far more apps than Nokia's Ovi Store, but the Nokia N900 is not restricted to getting downloads from the Ovi Store like the iPhone is restricted to the iTunes App Store. The Nokia N900 can get new apps from just about anywhere, including running scripts and installing Linux based apps. The Nokia N900 comes with a GPS receiver that relies on Ovi Maps 3.0 and can run Google Maps as well, as opposed to iPhone's reliance on Google Maps. 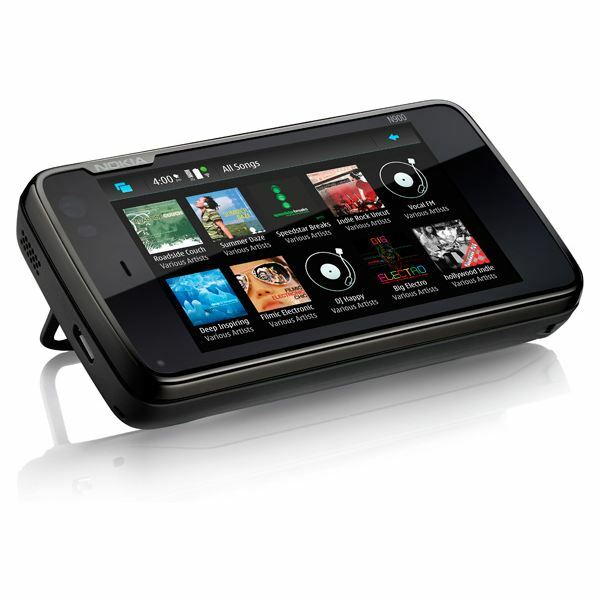 The Nokia N900 supports 3G for up to 10Mbps speeds, which is far better than iPhone which supports up to 7.2 Mbps. Another shortcoming on the iPhone 4 is the video calling feature which only works with Wi-Fi as opposed to the Nokia N900 which works pretty much with any available connection. Both the Nokia N900 and the iPhone come with full xHTML web browsers with the iPhone's based on Safari while the Nokai N900 uses Mozilla's Fennec. On the iPhone you cannot use any Flash plug-ins, neither can you install Flash anywhere on the phone. The Nokia N900 comes preinstalled with Flash 9.4 which supports Flash games among other types of games. The iPhone is limited to taking in micro SIM cards and therefore the regular SIM cards will not work on the iPhone. The Nokia N900 does not have that restriction. Nokia N900 supports DivX and XviD video playback which iPhone does not support. The iPhone does not allow you to transfer files using USB mass storage mode, neither does it have file transfer mode using Bluetooth, even though it has both these data modes installed within it. As for the Nokia N900, neither of these modes pose a problem as there is absolutely no restriction on the modes for transfer of files. For the multimedia fans, iPhone 4 does not have external stereo speakers but it is a relief to know that the Nokia N900 has got external stereo speakers. Both phones are capable of using the 3.5 mm audio jack. 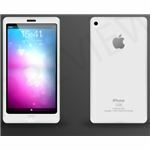 iPhone relies heavily on the touchscreen which offers multi-touch capabilities as opposed to the Nokia N900 which also has touchscreen capabilities but offers the full QWERTY keyboard as well. Both phones rely on taps and gestures from users so they can get around the services and apps provided. The iPhone has a more stylish and captivating navigation experience that is a lot simpler than the Nokia N900's. The Nokia N900 with its bright, large resolution screen is still no match for the iPhone 4 high resolution screen. The basic user interface works only in landscape mode, even though the Nokia N900 has built-in autorotate capabilities. This is where iPhone takes the lead in that its UI can work in either mode seamlessly. The Nokia N900 has strong multitasking capabilities, which iPhone lacks (there is a task switcher that grants easy access to running programs). 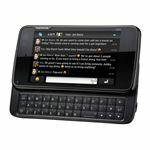 Generally speaking, iPhone has a far better and more consistent UI than the Nokia N900 but the Nokia N900 has an advantage with its full QWERTY keyboard. The Nokia N900 takes the lead as far as web browsing goes. It has super fast speeds and a remarkable browser to support all of this. Even though I would rate the Nokia N900 as having a better Internet web browsing experience, I would say that iPhone 4 also offers great performance. The audio quality on the Nokia N900 is far superior to that of the iPhone 4. The loud speaker on the iPhone 4 has got poor performance. 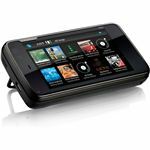 Nokia N900 comes in with a greater speaker quality and better options for listening to audio and video, be it from files stored on the phone, streamed through the Internet or from the stereo FM radio. The iPhone 4 is quite quick and responsive to launching apps and navigating through the menus. This may be a little better in terms of responsiveness compared to the Nokia N900, but one thing Nokia N900 has over the iPhone is true multi-tasking capabilities. The Nokia N900 has far better call quality and the fact that iPhone 4 has call reception issues is well documented. Both the Nokia N900 and iPhone come close in most areas of features and operations. In other areas there are clear distinctions. I would say as far as looks go, the iPhone comes out on top but when it comes to handling I would give it up for the Nokia N900. As for the UI, iPhone again comes out on top and that leaves it to features where I would say that both the iPhone 4 and the Nokia N900 come out equal, only the fact that iPhone has far more apps available for it would make me favor the iPhone. As far as general performance goes, the Nokia N900 outperforms the iPhone and that, in my opinion, makes the Nokia N900 the better phone.